Instead of a Security National Health Insurance company review, this will be a review of the Security National Life Insurance Company. There is no company named Security National Health Insurance. Security National Life Insurance Company is a wholly owned subsidiary of Security National Financial Corporation, specializing in life insurance, not health insurance. The other divisions of Security National Financial are Security National Mortgage Companies and Memorial Mortuaries and Cemeteries. Make sure you’re protecting yourself and your loved ones with health insurance coverage. Start right here by typing your zip code in the box above and then looking through health insurance quotes from several leading insurers. Security National Financial says that the three branches of its business–life insurance, mortgage loans, and funeral services–are interrelated and financially cohesive. While it’s apparent how life insurance and funeral services fit together, it’s less obvious how mortgage loans fit into the mix. However, Security National Financial invests the assets from the insurance and funeral services part of its business into the mortgage loans. Thus, the money from customers in those two businesses then is lent out to customers in the third business. This integrates them more fully, allowing for the possibility of even more company profit. The Security National Life Insurance Company began selling insurance policies in 1966–the same year it made its first acquisition, that of Grand Canyon Life of Arizona. Security National Life Insurance Company continued to grow, acquiring American Alliance in 1969 and Charter Oak Life Insurance Company in 1970. Three years later, the company acquired Columbia Life of Oregon. As the life insurance side of the company was growing larger, Security National bought Utah-based Memorial Estates, a company that runs mortuaries and cemeteries. 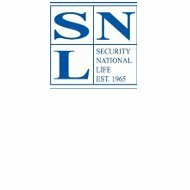 In 1979, the company formed the SNL Financial Corporation so that it could pursue growth in different fields and, in 1990, stockholders voted to change the name to Security National Financial Corporation. The company feels that this name correctly reflects the services it provides across the financial services spectrum. Since then, Security National Life Insurance Company has continued to grow through acquisition of other companies or through the acquisition of the business and policies of other businesses. Security National Life Insurance Company sells a diverse group of insurance, funeral, and financial products. Life insurance plans include final expense, divers’ security, and higher education. Financial products include single and flexible premium annuities that don’t require the customer to answer any medical or health questions. Final expense insurance is protection for end-of-life costs, such as funeral arrangements, medical bills, and any final bills left unpaid. Although it is hard for many people to think about death, purchasing final expense insurance will help your loved ones cope financially after you are gone. These different components have different purposes: the iPayor plan continues to pay your child’s iLife and iRoth payments if you should die, while the Edupath product helps with education planning assistance. For questions on these or any of the policies from Security National Life Insurance Company, it’s always best to ask the company, or one of its agents, directly. If you’re looking for employment with Security National Life Insurance Company, you’ll need to go through its corporate parent, Security National Financial Corporation. It has a “Careers” link on its website, but instead of letting you peruse its current job openings, the company asks that you submit your resume and cover letter through their online form. Then, they will forward your information to the appropriate department within the company. Among the jobs offered are home service agents and pre-need counselors. As expected from an insurance company, Security National Financial offers a generous benefits package that includes health and dental coverage. All of Security National’s claims are submitted and administered through the company’s website. Users must first set up an online account with the company, and then they can log in to add a claim. The system provides an easy-to-follow example for customers not accustomed to submitting online claims. It will also keep track of a customer’s claims online for 30 days, after which time it will be deleted from the list. For questions about claims, policyholders and their beneficiaries can call the company toll-free at 1-800-574-7117. Health insurance shopping should not be difficult or time-consuming. Type your zip code into the box below and you’ll see health insurance quotes nearly instantly!